US Defence Secretary Jim Mattis and Secretary of State Michael Pompeo travel to New Delhi this week in an effort to seal a new defence cooperation agreement with their Indian counterparts despite tensions over threatened American sanctions. Hanging over the meeting, planned for September 6, is the prospect that the US will impose economic sanctions on Prime Minister Narendra Modi’s government unless it significantly reduces purchases of oil from Iran and cancels a planned $6 billion purchase of S-400 anti-aircraft missiles from Russia. Indian officials have said the Russian arms deal would go ahead as planned. 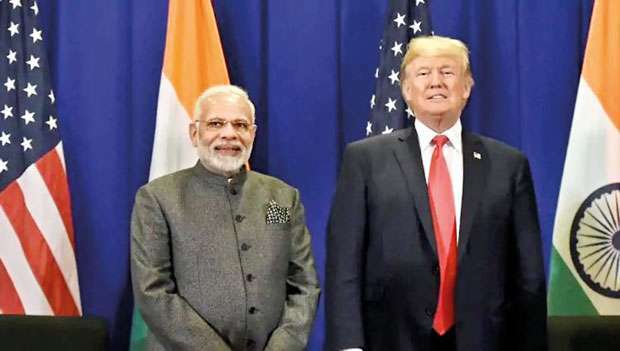 The first US-India 2+2 Ministerial Dialogue is about expanding a strategic partnership rather than closing individual arms deals, according to a Defence Department official. Transfers of advanced defence technology would be boosted if the two sides are able to complete work on a proposed Communications Interoperability and Security Memorandum of Agreement. Sales of US arms, associated parts and logistics support to India have increased to an estimated $15 billion this year from zero in 2008 and could rise by an additional $3 billion by 2019, said the official, who briefed reporters on condition of anonymity. The prospects include a potential deal to build advanced F-16 fighter jets from Lockheed Martin Corp. in India. But the threat of sanctions clouds the prospects for US-India cooperation. The US plans to reimpose sanctions on purchases of Iranian oil in November after President Donald Trump quit the 2015 multinational nuclear deal with Iran. Meanwhile, a 2017 law imposed by Congress requires the president to penalise countries that conduct a “significant transaction” with Russia’s defence sector.